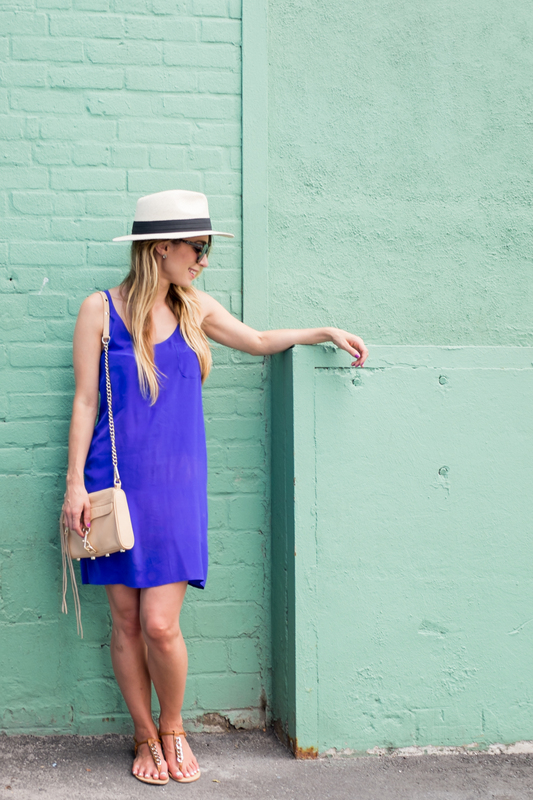 OOTD - Cobalt Blue Tank Dress | La Petite Noob | A Toronto-Based Fashion and Lifestyle Blog. Since we first caught wind that summer was in the air, the people of Toronto couldn't stop complaining about the temperate weather that we had been getting. Well ask and ye shall receive, because this weekend was a doozy. Temperatures soaring in the high 30 degrees Celsius (That's 86+ degrees Fahrenheit for my american friends), and humidity to boot. I just want to put out there that I never complained. I was actually enjoying the breezy, moderate days that we've been getting in Toronto, so when the heatwave hit it was hard not to believe that I was actually melting. During the heat of the summer I will choose my lightest and simplest pieces, keep my accessories to a minimum with just a straw hat and will actually wear sandals. Stylish or trying to keep my sanity as I melt into a puddle of mush I'm not sure, but I do love the combination of cobalt blue and a straw hat. Did you guys experience the same heatwave that we did this weekend? 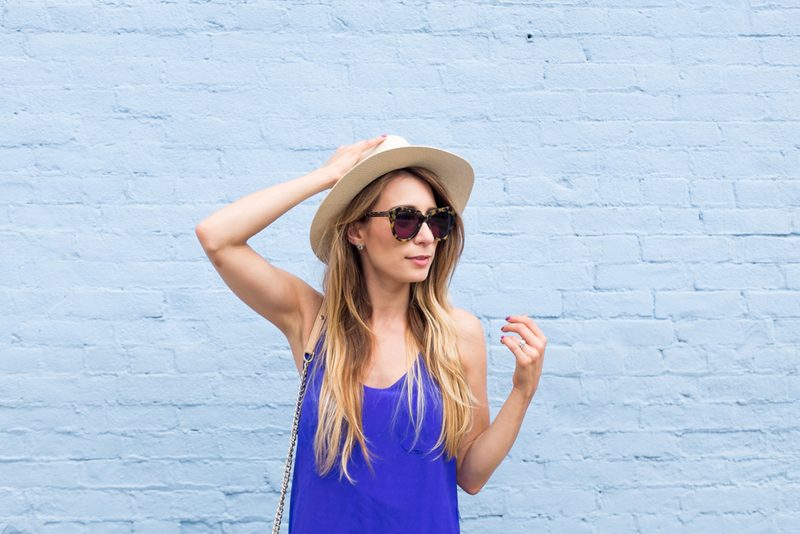 How do you dress to keep cool in the warmer temperatures and humidity? Hey! Thought I'd check your page out as I have my morning (much needed) coffee...talk about summer cuteness! 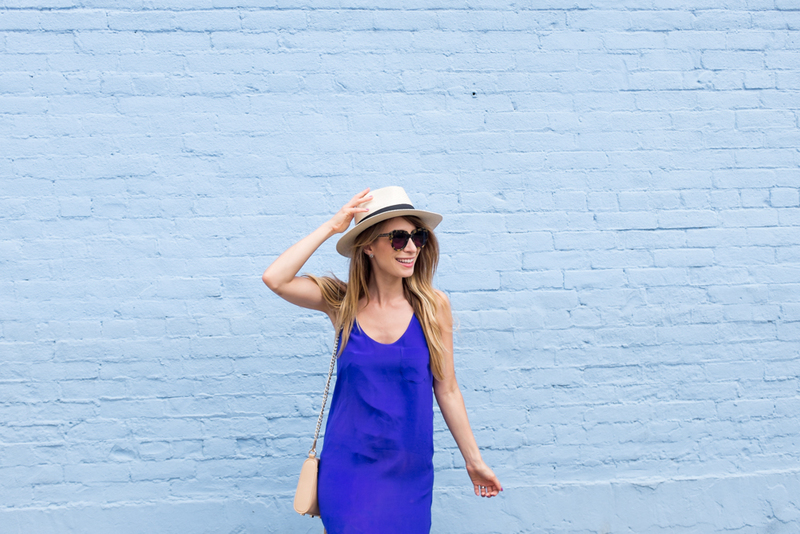 You look simply stunning in that cobalt blue dress! Personally....I spent the whole weekend in a bralette and cutoffs, but I wasn't out in public so I think you did a great job! Ohhh my, bralettes and cutoffs sound amazing. Honestly, it was so hot over the weekend I would have probably worn them in the city! This weekend was a hot one! I loved it, though. Felt like the good old summer days! pretty dress, love the color! what a fabulous color! its sooo summer! Thanks Jessica! 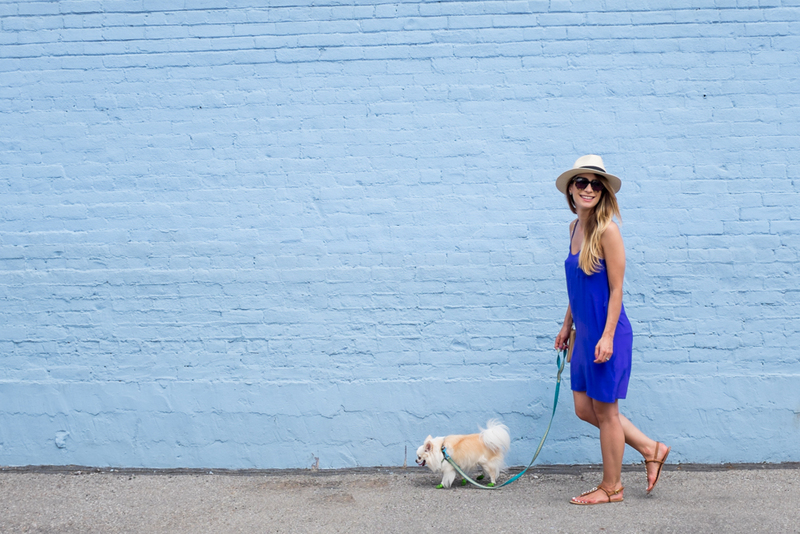 Something about cobalt just screams summer to me! This is such a perfect and easy look! I love the color on you! Thanks Jasmine, I'm glad that you like this colour too! Such a cute outfit! Love that cobalt blue color on you. Where I live in Hawaii, we were hit with some pretty bad humidity because of a tropical storm that just missed us. It was terrible but I managed to get through the weekend! Wow, Hawaii - lucky you! I envy how close to the ocean that you are, definitely a nice relief to the heat! Humidity is the worst! Heat, I can handle. Humidity so thick you can barely breathe? Nuh uh. If you need me, you can find me by the pool! You and your pool! :P One of these days I'm coming over! You look gorgeous! I love the dress, especially the color. I don't mind hot weather, as long as there's not too much humidity! This dress seems like it'd be perfect! Thanks Hailey, I'm so glad that you like the dress! It is definitely the perfect piece for the summer heat. Love this look and the color of the dress! Thanks Andrea, I'm glad that you like it! Thank you! I can't seem to take this hat off lately!